enlarge a bitmap image too much, you are going to see a definite jagged appearance to a line. 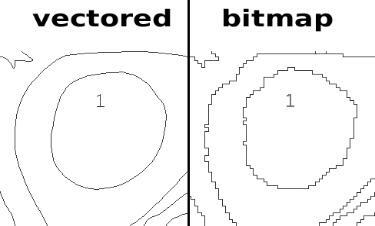 We use a bitmap image to make most kits. The jagged lines of the PBN are virtually unnoticeable on the smallest sized canvases. art but it will increase the cost significantly. vector images to any degree and the PBN lines will remain smooth and sharp on the canvas. is more time/labor intensive and raises the cost of the canvas.